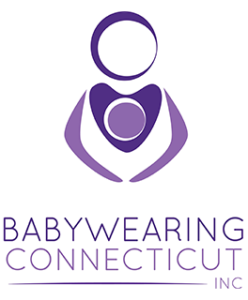 Welcome to Babywearing Connecticut, Inc! Who we are: We are an independent non-profit organization dedicated to babywearing education and advocacy. We provide babywearing education and support to families and caregivers in the greater New Haven, CT area with hopes to expand in the future. Our organization is run entirely by a team of dedicated volunteers. Our educators have dozens of years of babywearing experience between them. Our chapter volunteers offer additional administrative support and help us keep our meetings running. Want to help us grow our organization? We are always looking for donations and volunteers. No babywearing experience is required to volunteer. If you would like to know more about volunteering, please let one of our volunteers know your interest at a meeting! You can support our organization through the donation of time, talents, and resources. Donations to our organization are not only tax deductible, they are necessary to continue our mission of education and advocacy.